The plant grows wild and is cultivated in the northern mountainous parts of India and in the Eastern and Central Europe, but has become naturalised in Western Europe and parts of North America after early introduction the herbal drug valerian, which has been used for at least 1000 years. Valerian is widely used in Europe as a mild sedative and sleep aid for insomnia, excitability and exhaustion. It has depressant activities on the central nervous system. Valerian has about 200 perennial herb and small shrub. The plant is found throughout Europe and Northern Asia and is common in England in marshy thickets and on the borders of ditches and rivers where its tall stems may generally be seen in the summer towering above the usual herbage, the rich, dark green of the leaves, their beautiful form. Valerian Root has an earthy, slightly sweet scent characteristic of an oil derived from a root. Chemical constituents: Valerian oil has various chemical compounds that include Valepotriates, glycoside, volatile oil (up to 2%) containing esters of acetic, butyric and isovalerianic acid, limonene, sesquiterpene, calerian camphor, alkaloids, chatinine, valerianine, actinidine and valerine, choline, tannins, resins, bornyl acetate, caryophyllene, valeranone, valerenal, bornyl isovalerate and valerenic acid. Extraction: It is extracted by the steam distillation of the roots. Valerian is a warming and sedative herb with bitter principles and is used to calm the nerves, help with pain relief, stimulate the appetite, lower blood pressure, relax spasms and improve digestion. Valerian is an excellent remedy for anxiety, nervous tension and insomnia. Valerian essential oil has been used for hypochondria, nervous headaches, irritability, mild spasmodic affections, diarrhea, epilepsy, migraine headaches, croup, hysteria, convulsions, vertigo, nervous cough, delirium, neuralgia, muscle cramps, gas pains, stomach cramps, spasms, palpitations. Valerian also has a strengthening action on the heart, good for palpitations and experiments indicate that it lowers blood pressure. The valepotriates are antispasmodic and is a useful remedy for nervous dyspepsia, stomach cramps, and for a spastic or irritable bowel. It is also an effective treatment for menstrual cramps. 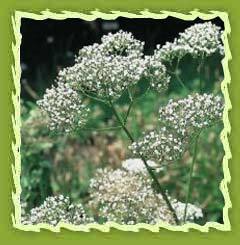 Valerian is a strong nervine and is very helpful for insomnia. It contains an essential oil and alkaloids which combine to produce calming sedative effect. It can be used as a tranquillizer but leaves one feeling refreshed rather than sluggish. 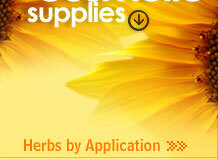 It is known as a safe non-narcotic herbal sedative and has been recommended in anxiety states. Valerian is commonly used with other herbs for nervous tension. It is also useful in pain-relieving remedies for it's relaxing properties for muscle spasms. Valerian has been used for insomnia, migraines, menstrual moods and relaxation. It is extremely helpful for nausea and headache due to its strong smell. Blends great with: Lavender, Orange, Tangerine, Rosemary, Cedar wood and Patchouli. Valerian oils are the perfect alternative to synthetic fragrances without all the harsh chemicals. It is pure and natural and by using a carrier oil could be applied directly to the skin and reap the therapeutic benefits along with the fragrance. The oil of valerian is used in many blended perfumes as it gives a different leathery note to a fragrance. Valerian oil Improves compost, attracts earthworms and boosts vegetable growth. It has a calming effect on the cats. The dried herb is prepared as an infusion to ensure no loss of the volatile oils. Valerian roots are eaten by the tribes of western mountains of India. It is popular as dressings in salad in France.It is used for making tea which has medicinal value. Two teaspoons of the dried herb are used for each cup of tea prepared. It is expected to have a good relaxing, anti-spasmodic and sleep-inducing effect and above all rapid sedation in states of excitement. A cold infusion of valerian may be used by pouring over two teaspoons of valerian root.